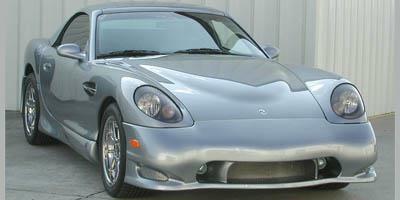 Pronounced Pay-Nose, Panoz is an American auto manufacturer who builds high-performance sports cars. The company was founded in 1989 by Daniel Panoz and they are headquartered in Hoschton, Georgia where they test all their cars on the famous Road Atlanta raceway, which they also happen to own. The Panoz crest is meant to honor the Red, White, and Blue colors of the United States along with Daniel's Irish heritage. The 2006 Panoz Esperante is a high-performance, low-production, two-passenger sports car which is available as a coupe or a convertible.